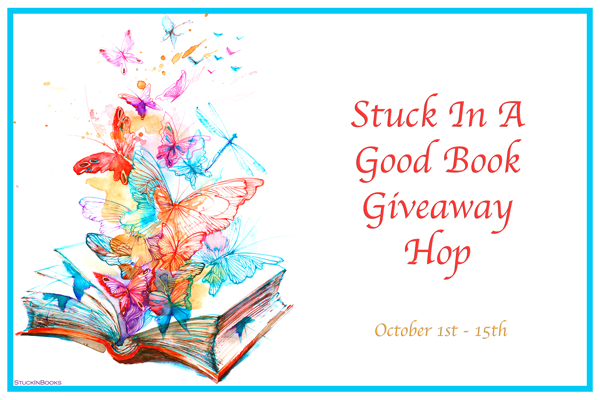 Welcome to the Stuck in a Good Book Giveaway Hop hosted by Valerie at Stuck in Books! Every blogger participating in this hop is giving away a book they couldn't put down (or a gift card to purchase one)! For those of you who love hardcover books, I'll be sending the winner the following book, which I loved! 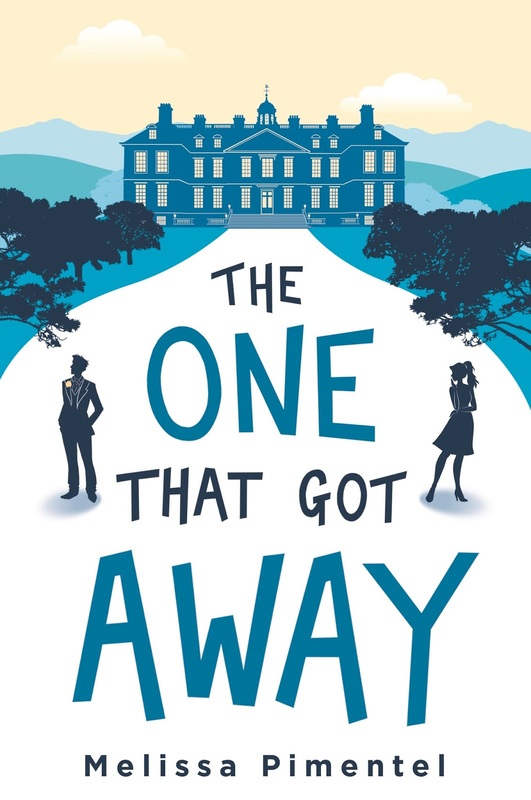 A modern retelling of Jane Austen's Persuasion, where a young woman comes face-to-face with a lost love, proving that the one who got away is sometimes the one you get back. Ten years later, Ruby’s single, having spent the last decade focusing on her demanding career and hectic life in Manhattan. There’s barely time for a trip to England for her little sister’s wedding. And there’s certainly not time to think about seeing Ethan there for the first time in years. 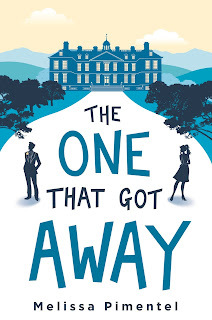 One lucky winner will receive a HARDCOVER copy of The One That Got Away, by Melissa Pimentel! Enter through the Rafflecopter form below. This giveaway is open to U.S. residents only and ends at 11:59 PM ET on October 15, 2017. 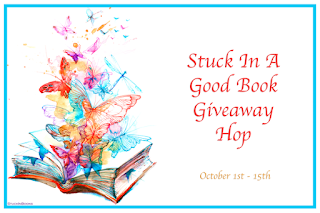 Now hop around to the other blogs in this hop for the chance to win more great books! Disclosure: I received a complimentary copy of this book to facilitate my review. I will be shipping this book to the winner. DeAnna Browne graduated from Arizona State University with her BS in Psychology. She finds it helps to corral those voices in her mind and put them to paper. Her debut novel, A DEMON RISING, came out in August 2017 with Black Opal Books and book two in the series, UNHOLY SUNDERING, is due out 2018. 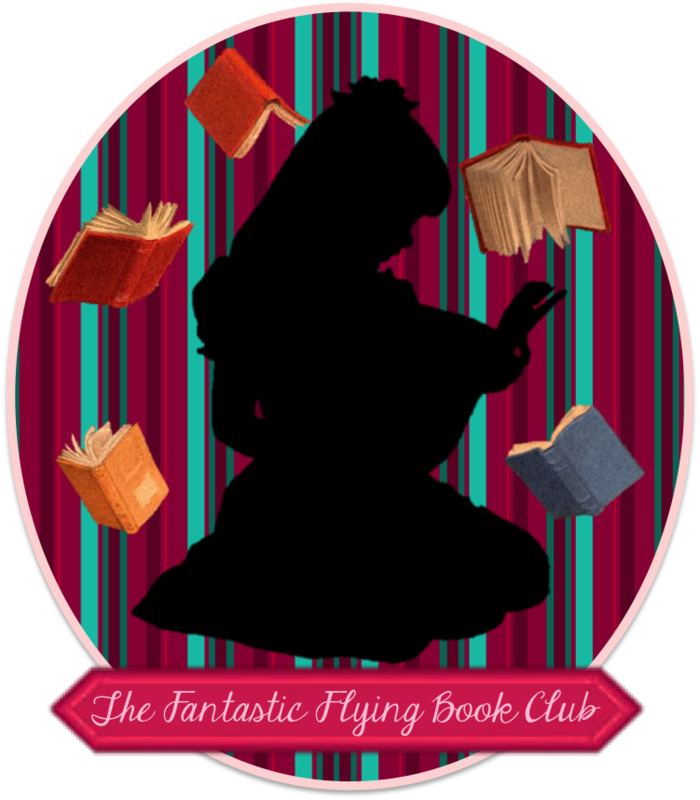 An avid reader and writer, she has a soft spot for fantasy with a touch of romance. Despite her love for food and traveling, she always finds her way back to Phoenix, Arizona, with her husband, children, and pet dog. “There are three things I know are certain in my life. Firstly, I am a cursed halfling -- part faerie, part human. Another thing I know is I hate faeries. They are deceitful, evil, and conniving. Eliana finds herself propelled into a world she longs to stay away from; a world where nothing is what it seems. In a race against minds, she must master her magic and fight an unimaginable darkness, stretching throughout the realm of Grandelione. The same darkness that cursed her mother and, now, her half-brother is laying dormant in her, too. Her brothers are sworn enemies, with the youngest, Caelian, having battled to earn his title of Crown Prince from Aemon -- a royal who vows bloodshed in order to have his claim to the throne restored. After moving from Vancouver to isolated Hazelton, BC, high school senior Rachel Barnes hopes she’ll finally find closure and a sense of direction after tragedy has torn her family apart. 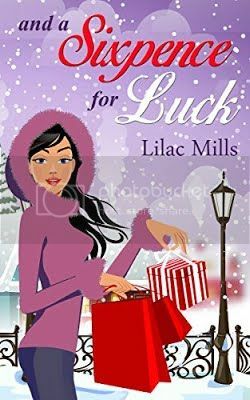 When she and her friends discover the old spirit box her grandmother gave her, they see it as a chance to wish their troubles away. But the Great Spirits -- deer, crow, bear, and the mythical wendigo -- give away nothing for free. finds herself in a race to control the malevolent spirit who’s taken up residence in Mason Allen, who she fears and craves in equal measure. What began as a harmless game forces Rachel to confront her past -- and offers her a future she never imagined. Step into a reality that is not as it seems in Book 1 of the Harmless series. I watch as Julie fills the mugs with water and puts them in the microwave. When they’re done, she plunks a tea bag in each and brings them over to the kitchen table. Sitting with a huff, I plunk myself down on a chair. Wrapping my fingers around the steaming cup of tea, I breathe in deeply. Unfortunately, it doesn’t have the same effect as that mist. My problems are all still here. I know the project she’s talking about. My grams dragged me to a craft sale at the community center once. The building looks like it’s made entirely out of school portables, like a patchwork quilt. The town has been raising funds for years to build a new one. It’s just one of the many projects Julie gets involved in around here. That’s why she’s a lifer. She loves this town. She’s never going to leave it. I let the waiting air in my lungs huff out. “I wished that ... that I knew what I wanted, and that I’d find it here in Hazelton.” Saying it out loud doesn’t sound as awesome as it did in my head. The look on her face makes me wonder if my best friend just found out what a nut bar I really am. “I like it,” she says finally. “I hope you find whatever it is you’re looking for too.” She sounds convincing. Thank God. I don’t know what I’d do without my rock. She knows what I’m thinking without me saying a word. “It’s okay. I’ll be fine.” I’ll be no more screwed up than I already am. It takes only ten minutes to drive from my place to Julie’s. Surprisingly, I feel relieved to be driving home alone. I hear my thoughts better this way, just me and the dark of the night. The moon is almost full, but its light barely touches the blackness out here. Julie’s place is a bit out of town, and on this road there aren’t any streetlights -- or houses. A heavy fog hugs the ground. It’s hypnotic, swirling in my headlights as I drive. What happened tonight? There must be some explanation for those orb lights and those terrible sounds that came from the box. The fog swirls on the road. The fog swirls in my mind. I feel my body tense before I even know what I’m doing, and I see something ahead on the road. My knuckles turn white on the steering wheel. My foot hits the brake. I brace myself, but it’s too late to stop before I hit it. I have two choices: either hit whatever’s blocking my path head on -- or hit the ditch. The fog is thick. The road is slick. The tires are screeching. I swerve. I miss it. And that’s when I finally see its full outline. Standing in the middle of the road, silent and still, is a massive, snow white deer. The White Arrow Book Tour and Giveaway for a $5 Amazon Gift Card ~ 2 Winners! From the author of The Bow of Destiny, Fantasia Reviews 2016 Book of the Year, and An Arrow Against the Wind comes the thrilling conclusion of The Bow of Hart Saga - Fall of 2017! Pre-order your copy today! Bound to prophecy, his destiny balanced on an arrow’s tip. Finish the hunt with The White Arrow! The third novel of The Bow of Hart Saga from P. H. Solomon, The White Arrow, is a new addition to the great quest fantasy novels in the tradition of R.A. Salvatore, Piers Anthony, Terry Brooks and Terry Goodkind. Limbreth closed her eyes again. The terror of falling brought her heart thumping into her throat. The wind threw her sideways. Pain seared her side. The helpless certainty of death seized her. Color surrounded her and slowed her fall until she splashed like a skipped stone into the water. She gasped at the frigid rush and struggled to stay afloat with her wound. She slammed into a rock with a grunt. Stunned, she almost sank under the river. But the current yanked her around the rock, and she bounced off others as cold drained her awareness. A hand appeared from the sheer rock side of the river. Was it real? She lifted her left hand with effort and caught the hand. Limbreth opened her eyes. She still lived by some miracle. She took deep breaths and slowed her heart. And her friends still lived. Hastra's observation returned. It was for a purpose that they were all alive. But why? The Bow of Hart and helping Athson were the only reasons she settled on that made sense. A thought arrived with Limbreth's conclusion:Be ready. She moved her boots and other wet gear closer to the fire. Hastra muttered to herself as she read her book. Her eyes flicked to Limbreth's movement. "Careful you don't burn them." She returned to her reading. "I just want to help now that I'm free of Corgren and the Bane." Limbreth touched the bloody gouge in her leather top. So much blood lost; no wonder she was so weak. She lay down by the fire again. When she closed her eyes, the Bane loomed over her. She gasped, opened her eyes, and lay trembling. Hastra touched her face. "Eloch bless your rest. Ralda is guarding the ravine, so we're as safe as possible for the moment." Limbreth relaxed after a moment. She needed rest after her trek to the Funnel. She rubbed her wrists. The binding rope still chafed at her mind. After a moment, she lay still. Another moment later, she scrambled to her feet and almost fell into the fire. Cursed weakness! "Athson, he'll think I'm dead!" She should be. "I hope they find him fast, or he'll think he lost me too." "They will find him and have news of what happened. But rest before you fall over." "I wish they were back." Limbreth sat again. Limbreth lay beside the fire again and rolled onto her side. Ralda's broad back filled the upper end of the ravine where he stood watch. The giant had saved her. She needed to thank him. Beside her, Hastra muttered at her Withling book. "What has your attention?" Weariness dragged at Limbreth, but her need for news of Athson left her wakeful at Hastra's restless musings. The Withling peered at Limbreth, her head cocked sideways. "Yes, I think you should know these things." Limbreth raised herself on an elbow. "Know what?" "Athson, the Bow of Hart, and the arrow to come." Limbreth sat all the way up. The hunt for the Bow of Hart continues for Athson and his companions. They have escaped the clutches of Magdronu and Corgren, but they are still pursued. In need of answers to deep mysteries revealed in Chokkra, Athson must gain possession of the mythic bow to face both his enemies and his tragic past. But Magdronu's reach stretches among Athson's companions, endangering Limbreth and even Hastra in schemes to entrap them all. With each turn of the search for the Bow of Hart, long hidden secrets surface that threaten to destroy Athson. Will he falter like an arrow against the wind? Athson has seen things that aren't there and suffered fits since being tragically orphaned as a child at the hands of trolls and Corgren the wizard. When a strange will mentioning a mysterious bow comes into his possession, he's not sure it's real. But the trolls that soon pursue him are all too real and dangerous. And what's worse, these raiders serve Corgren and his master, the hidden dragon, Magdronu, who are responsible for the destruction of his childhood home. 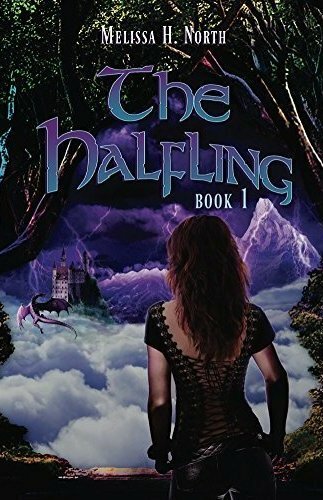 Athson is drawn into a quest for the concealed Bow of Hart by the mystic Withling, Hastra, but Athson isn't always sure what's real and who his enemies are. With Corgren and Magdronu involved, Athson must face not only frequent danger but his grasp on reality and the reasons behind his tragic past. P.H. Solomon lives in the greater Birmingham, AL, area where he strongly dislikes yard work and sanding the deck rail. However, he performs these duties to maintain a nice home for his loved ones as well as the family’s German Shepherds. In his spare time, P.H. rides herd as a Computer Whisperer on large computers called servers (harmonica not required). Additionally, he enjoys reading, running, most sports and fantasy football. Having a degree in Anthropology, he also has a wide array of more “serious” interests in addition to working regularly to hone his writing. The Bow of Destiny is his first novel-length title with more soon to come. After being sold into slavery by her father and accused of a murder she didn’t commit, Tiadaria finds herself facing the executioner's axe. The only thing standing in the way is the village Constable. After thirty years of loyal service to the Imperium, Royce retired to King’s Reach as the village’s Constable. He thought it would be the perfect place to rest, relax, and die in peace. He was wrong. In an unexpected complication, the slave with her neck on the block seems to possess the same magic Royce has hidden all his life. Paying off Tiadaria’s bond, Royce takes possession the slave. Now he must teach her to trust him, teach her to fight, and teach her about her unique abilities before they both run out of time. An ancient menace, the Xarundi, have returned. They are the most dangerous enemy humanity has ever faced, and they have a thousand years of bloodthirsty vengeance to exact. When an agent from the Imperium Intelligence Service shows up on Tiadaria’s doorstep, he leaves her with unwelcome news. Recovering from their brutal defeat at Dragonfell, the Xarundi are seeking out an ancient and incredibly powerful relic buried in the snow and ice of the Frozen Frontier. Tiadaria travels to the city of Ethergate to seek out an apprentice skilled in magical research. Even with his reluctant help, unearthing information on the relic proves to be almost impossible until a savage turn of events puts them on the right path. Now it’s a race against time through some of the most unforgiving territory on Solendrea to beat the Xarundi to the relic and stop them from unleashing its devastating power on the unsuspecting masses. What they find is more dangerous than they could ever imagine and from a source they’d have never expected. Now Tiadaria must defeat an enemy that knows her almost as well as she knows herself. Volinette Terris has everything most girls could want: a famous family, plenty of money, and a career as a talented musician. No one would expect her to risk losing it all to try and become a mage, but when the School of Sorcery opens for the Trial of Admission, that’s exactly what she does. If only she’d known that winning a place in the Academy of Arcane Arts and Sciences would be the least of her problems. Now she finds herself accused of murder, tormented by her fellow students, and implicated in the theft of a mystical artifact that could bring about the end of the world. And that’s just the first semester! Quintessential Tales, a Magic of Solendrea Anthology, brings together four new novelettes featuring the heroes and villains of Solendrea. Also included is the Adventurer's Guide to Solendrea, which includes background information on famous faces and places, as well as some mythology and folklore. Warhorse - Being shipwrecked on a strange island is just the start of the dangers facing Royce and Torus. If Wishes Were Horses - Twins stumble across an ancient temple in the middle of the wildlands that may not be what it seems. Troubled Waters - Faxon and Gunter face off against new enemies and a treacherous old foe. All Souls - Tiadaria and Adamon travel to Havenhedge to investigate a mysterious occurrence. Adventurer's Guide to Solendrea (Bonus) - Background information on famous faces and interesting places. Please be aware that All Souls contains spoilers if you haven’t read the Swordmage Trilogy, particularly The Pegasus’s Lament. If you haven’t, I highly recommend that you read the original trilogy before reading All Souls. What do you do when the people you trust the most betray you? Tiadaria, the last Swordmage, was once one of the King's most trusted advisers. Now she's fallen out of favour and has been cast out of the realm she helped save from demons and dragons. When pirates start sinking ships off the coast of Dragonfell, Tiadaria offers her services to the realm, but the pride of Kings is not easily put aside. Unwilling to let the Imperium fall, Tiadaria approaches the King's only daughter, a reclusive Princess unseen by the people for almost two decades. What happens next is a race against time as Tiadaria and her allies commit an act of treason to stop a corrupt sorceress from endangering the fate of the world. Only a Swordmage can turn an act of sedition into salvation for the Imperium in this rousing fantasy tale of swords and sorcery. Martin F. Hengst is an American science-fiction and fantasy author. His bestselling Magic of Solendrea series has delighted more than a quarter of a million readers worldwide. He writes the same type of books he loves to read: tales of science fiction and fantasy where anything can, and frequently does, happen. There’s nothing better than a rollicking good adventure and his number one priority as a writer is to be an amazing travelling companion for those intrepid explorers who pick up any of his books. He lives in South Central Pennsylvania with his wife and two children. When he's not working on the next book or story, he enjoys music, reading, and playing games. He really like hearing from people who have enjoyed his books. Please don’t hesitate to connect with him on Twitter or Facebook. For the latest news and information about Martin and his books, check out his website at: http://martinfhengst.com.